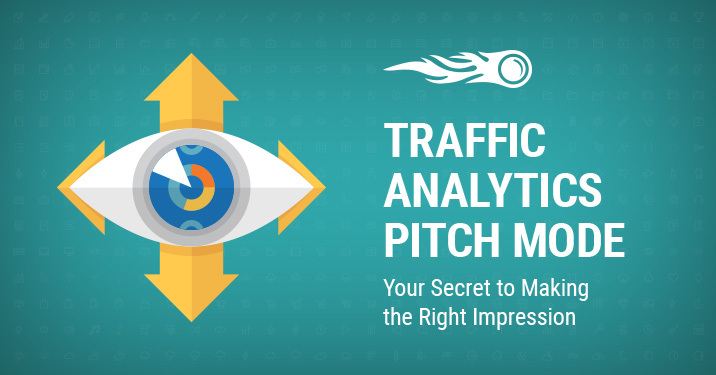 We know that a number of SEMrush subscribers use Traffic Analytics data when presenting to their prospective customers, potential investors, and seniors. So we decided to introduce a feature that would help them put themselves right with the audience. A successful business pitch is one-third getting a listener’s undivided attention and two-thirds making a good impression. Traffic Analytics Pitch Mode helps with both. It lets you switch the tool to full screen and have the viewers focus solely on the story being pitched. In addition, people tend to buy the experience as much as the product or service. So why not impress them with a “bigger picture”? Presenting data about a website’s traffic, user engagement, traffic sources, geo distribution, acquisition channels, etc. on a virtual whiteboard leaves so much space for story-telling that you should have no difficulty in leading your audience to the right conclusion.